Manchester United go into the final months of Ole Gunnar Solskjaer’s interim run as manager without welcoming any new players to their ranks. Their winter transfer window was bereft of any signings, despite the need for an able centre-back dominating the talking points as the sole negative in a largely positive run of games so far. However, amidst the disappointment of deadline day going bare, United fans were treated to the closest piece of good news – a contract extension for a promising talent. The Mancunian club was finally able to pen down Anthony Martial to a long-term deal, with fresh terms set to keep the Frenchman at Old Trafford for at least five more years, until 2024, with an option to extend for another year. This was received positively by the United supporters, who have become quite fond of the former Monaco man who has regained his mojo and playing time under the Norwegian gaffer. 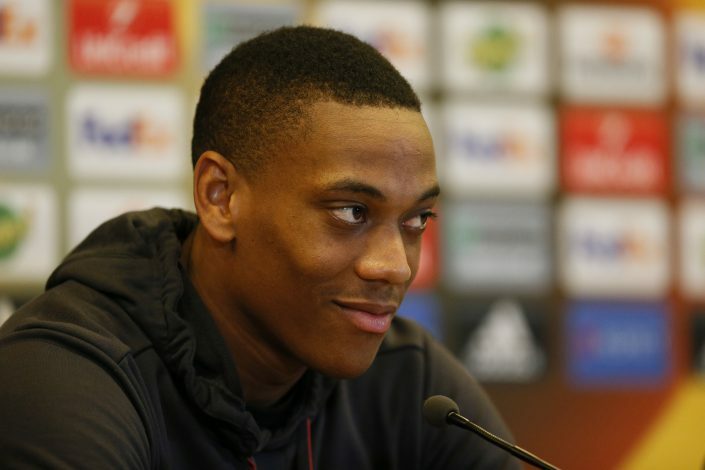 However, eagle-eyed observers caught an interesting detail in Martial’s contract. Zooming in on the club’s announcement of the player’s deal, the snap caught the contract paper to be filled with dummy text. Had the text been composed of random words, it could have been understood. Instead, whoever drafted up the deal instead chose to type up gibberish, mashing random keys. Criticize as we may, the gimmick did work, as most angles wouldn’t have caught the move. It is intriguing to think that for a deal that has been in the negotiation stage for months now, a dummy contract of this poor quality was used in the end. Regardless, fans can be placated by the knowledge that the original contract signed by the French forward is riddled with positive clauses that will ensure that he’ll be charming the flanks of the Red Devils for quite a while more. As for content, the readers can be assured that the best words in the best order will be published on this site, unlike some other piece of paperwork in Manchester.